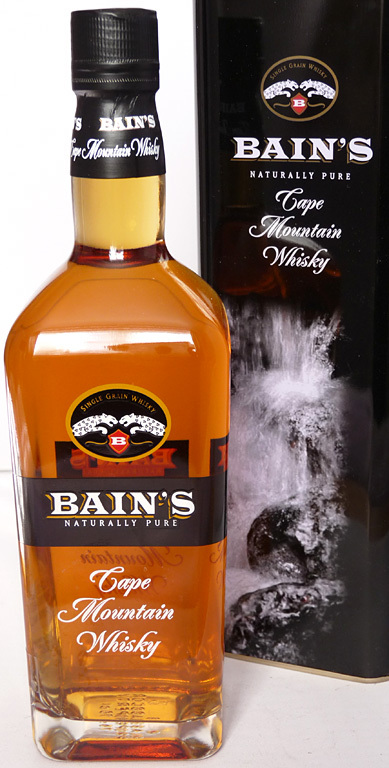 I bought this bottle of Bain’s Cape Mountain from Amazon for £28, free postage, thinking I was getting a bargain. About a week later it came up as a ‘Daily Deal’ for about £20. It goes to show that it sometimes pays to wait. Nevertheless, at under £30 for an interesting whisky all the way from South Africa, it still feels like a good purchase. 5 reviewers on Amazon give it an average of 4.4/5 stars. This is a single grain whisky, so not as complex as a single malt. Tucked away at the back of the Whisky Bible, the author Jim Murray says of this dram “a lively, attractively structured whisky with more attitude than you might expect. Some lovely nip and bite despite the toffee and surprising degree of soft oils.” Scoring 85.5/100 classifies this bottling as “very good to excellent whisky definitely worth buying”.